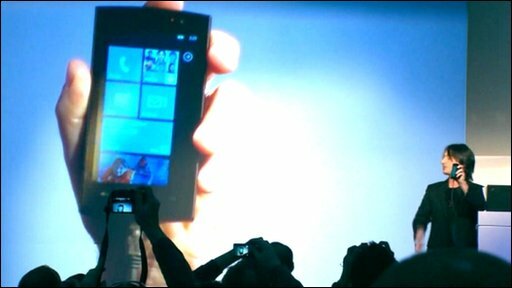 Microsoft has launched the latest version of its mobile phone operating system, called Windows Phone 7 series. The software has a redesigned user interface and incorporates many Microsoft services such as Xbox LIVE games and the Zune music service. The software was introduced at an event at the Mobile World Congress in Barcelona. According to research firm Canalys, Microsoft's software currently has around 9% of the smartphone market. That puts it fourth in the global market behind Symbian, Rim (makers of the Blackberry) and Apple's iPhone OS. The new system follows the launch of Windows Mobile 6.5 in October 2009. "This is obviously a huge step forward," analyst Pete Cunningham of Canalys told BBC News. "Microsoft have really struggled with windows mobile 6 and 6.5 and have been losing market share off the back of it." However, he said, the firm could not "rest on its laurels". "Although it looks good today and competitive today, the other other firms haven't revealed their hand. "It doesn't launch for another eight or nine months and that's a long time in the mobile world." For example, in a little over 30 months Apple has claimed 15% of the smartphone market, according to Canalys figures, whilst Google's Android operating system has claimed 5% of the market in around two years. Microsoft's new operating system is built around a series of so-called 'live tiles', which pull in real time content from a users web sites and social networks. User can create their own tiles, for example, to keep tabs on the latest posts and pictures from friends or relatives on social networks. "We wanted the software experience to fundamentally focus on what is most important to each individual user," said Joe Belfiore of the firm at the launch. The new interface also has a series of "hubs", which bring together related content from the web, applications and services into a single view. The six hubs are people, pictures, games, marketplace, music and office. The games hub, for example, incorporates elements of the firm's online gaming network Xbox live, including games and the ability for gamers to access their online profiles. The music hub brings together music and video content from a user's PC, online music services and an in-built FM radio. The first phones using the new operating system will be available later this year from manufacturers including Samsung, LG, HTC and Sony Ericsson. 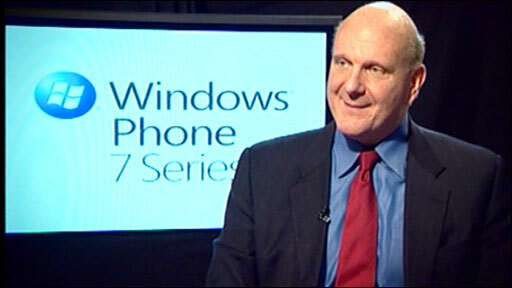 "We have a chance to make an impact on the market," said Microsoft boss Steve Ballmer. Although Microsoft will only provide the software for the phones, it will specify certain hardware requirements to manufacturers. For example, all handsets will be multi-touch and will come with a dedicated hardware button for Microsoft's search engine Bing. Manufacturers will also be restricted to the smart tile user interface, according to Mr Cunningham. Other operating systems - such as Android - allow manufacturers to customise the look and feel of the interface. "That may make [Windows Phone 7] less attractive in the long term," he said.